Other Off Book episodes include The Creativity of Indie Video Games and The Art of Creative Coding, among many others. Journalist and author Chris Hedges delivers a lecture based on his book Death of the Liberal Class. Hedges argues that there are five pillars of the liberal establishment – the press, liberal religious institutions, labor unions, universities and the Democratic Party – but that these institutions have failed the constituents they purport to represent. <link. You can also hear these TVO talks, as I prefer, in podcast form. Yesterday the human population reached seven billion. This video reminds me of the award winning animations XVIVO created for the website BioVisions at Harvard. 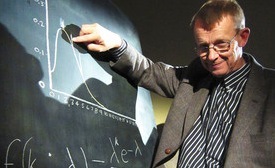 “Documentary which takes viewers on a rollercoaster ride through the wonderful world of statistics to explore the remarkable power thay have to change our understanding of the world, presented by superstar boffin Professor Hans Rosling, whose eye-opening, mind-expanding and funny online lectures have made him an international internet legend. Guest blogger Dan Coleman of OpenCulture has posted a nice compilation of the RSA‘s animated videos on understanding capitalism. Since I am in the middle of listening to a great series by the Teaching Company called Thinking about Capitalism, these videos have been really great in giving me some fascinating perspectives. I love the accompanying animations to these insightful short talks. Great work Royal Society! Read the rest and watch the videos at Brain Pickings. You can find more RSA videos here or on their youtube channel along with a lot of other great lectures. Please enjoy my favorite video in which Matthew Taylor explores the meaning of 21st century enlightenment, how the idea might help us meet the challenges we face today, and the role that can be played by organizations such as the RSA. I first came across this organization through Situating Science‘s series called Trust in Science. This five-part series presents some really great speakers on fascinating science policy topics. It is seriously on par with the How to Think about Science series that CBC produced a few years back (which is unfortunately no longer available online). 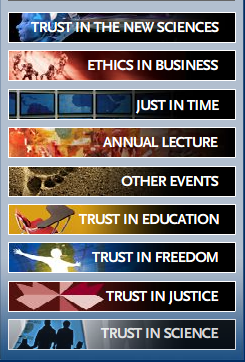 You can then imagine my excitement to discover a whole collection of video series with talks by top scholars in ethics, science and policy studies, management, philosophy, etc… These hosted events (which are only available through the website’s flash player) can be found here. Earlier this year, at the end of my first year of graduate school and in the middle of paper-writing season, my laptop died. It had been lying innocently in my bag when they both toppled over and crashed onto the ground. The impact affected the monitor; it wouldn’t turn on. I don’t think there could have been a worse time. Deadlines were approaching and tensions were mounting. Thankfully I had been using Dropbox and, commandeering a nearby desktop computer, I was able to continue working without missing a beat. 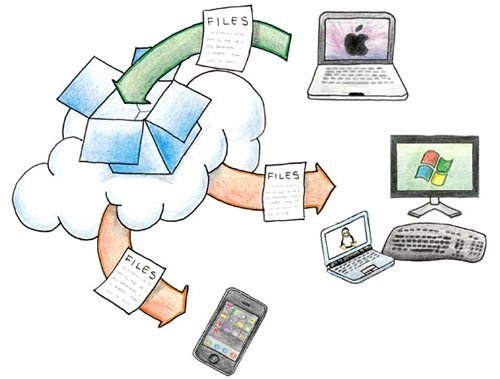 The reason my working documents (including a powerpoint presentation and relevant images) were saved is because Dropbox, like Google Apps (explained previously), use cloud computing to save (or “sync”) your files online. For me, what’s special about Dropbox is threefold: For one, the service functions seamlessly with how you use your computer already. Dropbox is represented on your computer simply as a folder like any other. You drop files and organize subfolders as you would anything else. The difference is that this folder’s contents are backed up online. Which brings me to the second aspect I enjoy about this service: it is passive. That means that you don’t need to do anything for it to be doing its job. When my computer suddenly became inaccessible due to a broken screen I could be confident that the most recent version of the files I was working on would be available online, from any computer. This brings me to the third feature. Again like Google Apps, I can access my own Dropbox folder from any computer (through a login at the Dropbox website) and can even have files publicly accessible for others should I choose. Go ahead, get Dropbox here.